Getting away from the city is the best when a journey is involved. 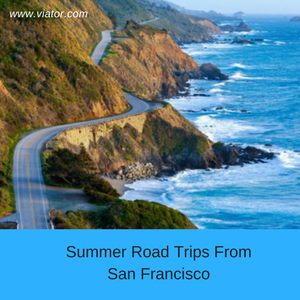 Wether you are looking to relax on the beach, whale watching or wine tasting, there is a plenty to choose from near San Francisco. Here are some ideas on how you can spend you last days of summer through breathtaking road trips.